"Let's build these ladder shelves", exclaimed my wife on Saturday morning. 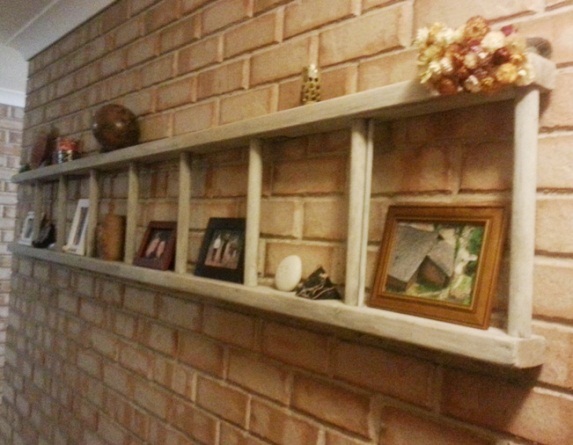 She'd been surfing Pinterest on her IPad and had found a picture of a re-purposed ladder in the form of shelving. It looked great with dust collectors and photos on it so she wanted one, and as I had an old Oregon pine ladder in the shed... 'nuf said. Starting with a pre-cut Oregon pine ladder, I sanded it down, especially the ends, edges and corners and wire-brushed the iron bolts as well. 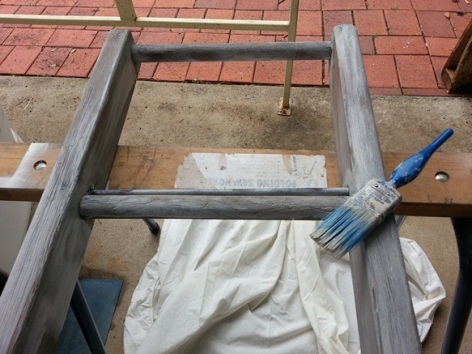 After smoothing it off, I added a small amount of paint to a container of water (about 1 part paint to 5 parts water but adjust to suit yourself) then brushed it onto the ladder to give it a distressed appearance. I then looked for a way to fasten it to the brick wall in the hallway. 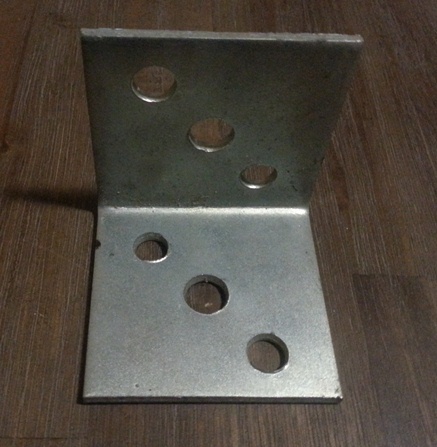 I had some small right angle steel brackets that suited the purpose. 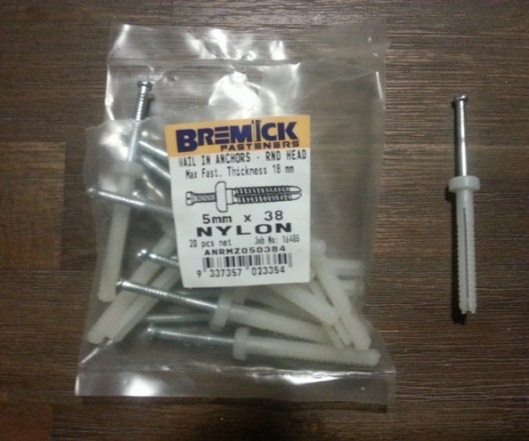 So I used a masonry bit to bore into the brick, and hammered in two 'nail in' nylon anchors in each bracket. 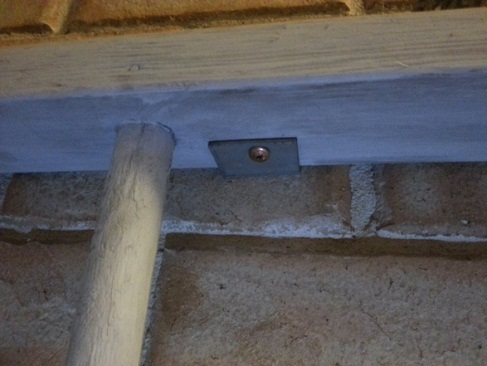 I hung the ladder on the brackets and screwed them on. Voila! !